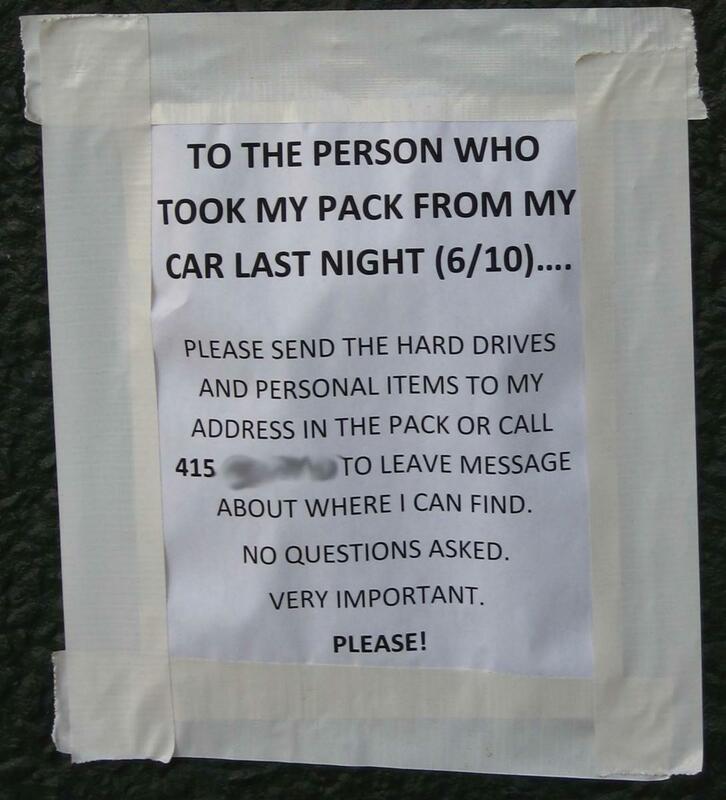 Pls return mah hard drive you stole from my car. kthxbye! So, by itself this is worth a few giggles and will get added to my collection of security gaffes found in the wild. I deleted my last Terremark vCloud Express VM out of disgust at the beginning of April. If you just shut down the VM, they'll keep billing you for it. You have to delete it as well. Blippy's a fun idea. If you've got malicious intentions. See, you give them the username/password to your bank's websites, they go and get your purchase info, analyze it, and display it on their site. Because, you really want everybody to know that every day this week you bought a frappuccino at Starbucks, and also signed up for a membership at 24hr fitness. I should look through to see if anybody's purchased lobotomy services on there. A client of client of mine was running a small, simple website on Go Daddy hosting. It seemed easy, it seemed to work, it wasn't that much more expensive than other options out there that they didn't know about at the time. Advertising works, I'll freely admit it. Corsiare has a nice dmg to get Portswigger's Burpsuite working under OS X. Portswigger came out with version 1.3 recently, Corsaire hasn't updated their package yet, and I was getting a little hungry for new functionality, so decided to take a look-see. Turns out it's not too hard to upgrade by hand.